Chor Bazare, an intimate restaurant that only seats around 10 diners, is the first dedicated Indian eatery to take up residence in the lively, hip neighbourhood of Tai Hang. Named after Mumbai’s bustling thief market, which is famous for housing everything from vintage handicrafts to Victorian furniture, restaurant owner Chopra Amit hopes to offer diners an exciting and satisfying experience akin to an afternoon of antiquing. The slightly crammed seating is also somewhat of a metaphor for a market – but the ambiance is cosy and inviting. 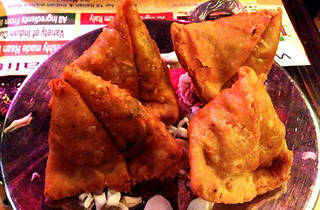 We start off with some samosas ($38), which are almost the size of a fist and fill us up immediately. 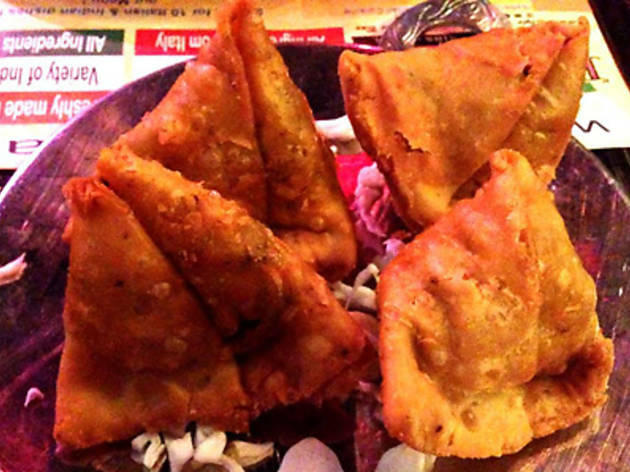 Even though a tad oily, the outer layers are crispy, and the filling is well-spiced and tangy. We follow up with the lentil soup ($46), which is creamy and soothing, with a hint of lemon juice pleasingly offsetting the overall richness of the dish. The flavouring of the chicken curry ($88) is spot-on, and the chicken is tender and fresh. The full-bodied vegetarian paneer palak ($76) also has balanced flavours and tastes incredibly indulgent. We find our mango lassi ($48) more watery than expected, but it has a refreshing fizz from the addition of soda. The service is warm and the price tags are incredibly budget-friendly – particularly given the robust portions. With such tasty dishes, this hidden gem is certainly worth a visit!